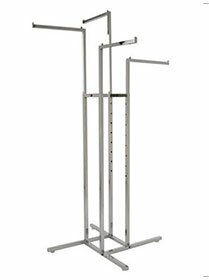 THERE ARE NO HANG UPS WITH OUR APPAREL RACKS. 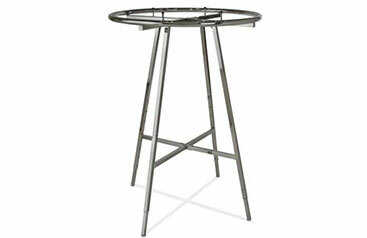 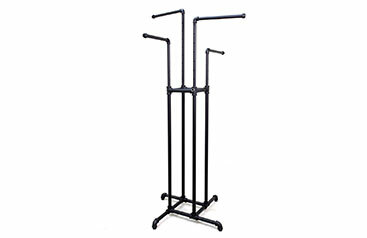 As a leading supplier of retail fixtures, we have a great selection of racks to promote your sense of style. 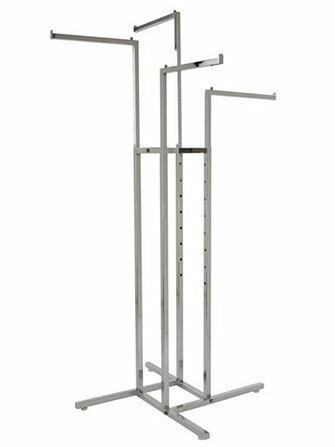 When it comes to apparel racks, one size fits no one. 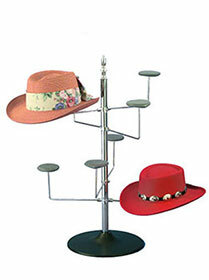 You need to choose a design that fits your store’s style. 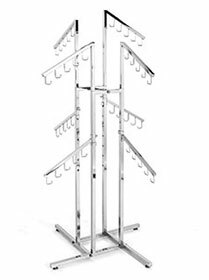 Whether it’s a boutique shop or a major department store, there’s an apparel rack design and purpose that’s perfect to suit your store. 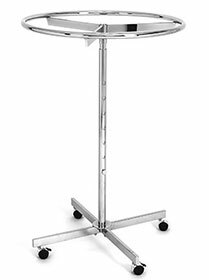 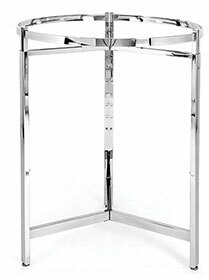 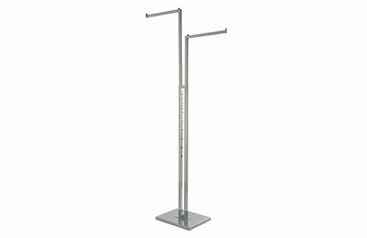 Available in chrome, black, and white, clothing and garment racks are easy-to-use fixtures that allow retailers to display and store apparel. 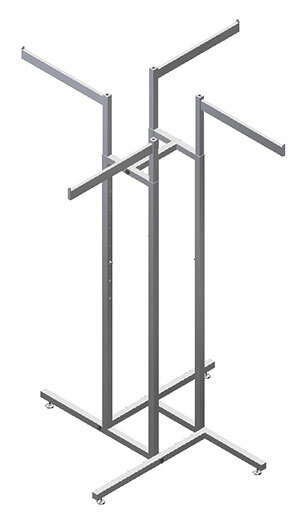 Made from steel and aluminum and a variety of finishes, apparel racks provide an attractive means to matching the other retail fixtures in your store. 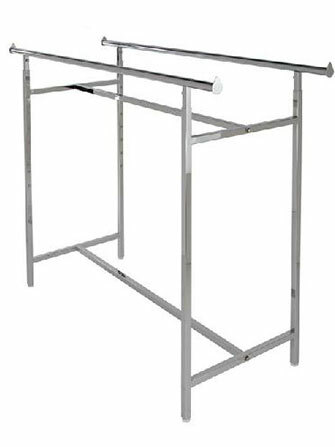 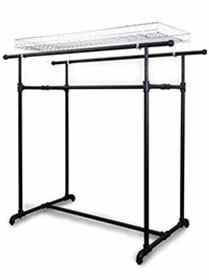 Choose from a great selection of retail garment racks to display and transport apparel. 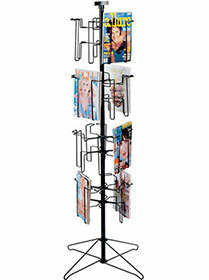 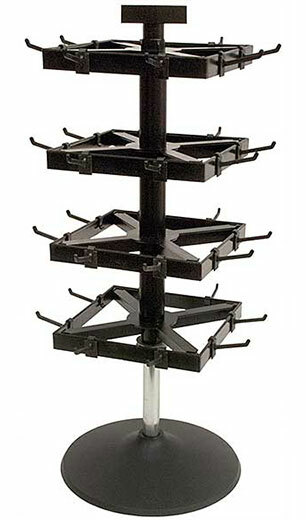 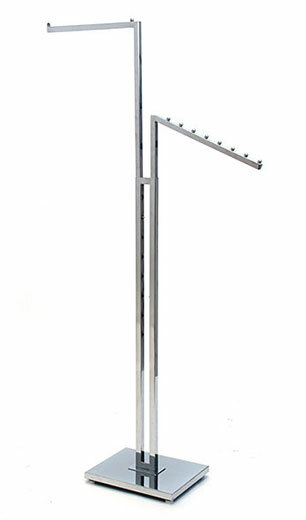 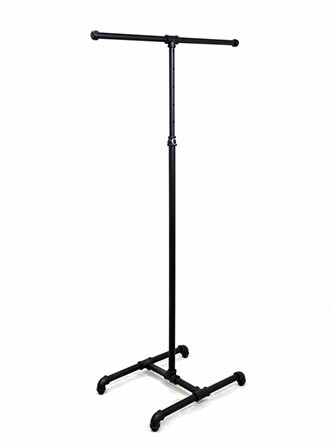 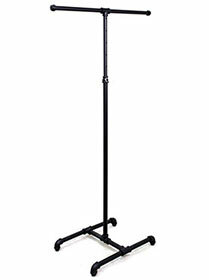 These racks help you display clothing from two directions, with rolling and weighted bases. 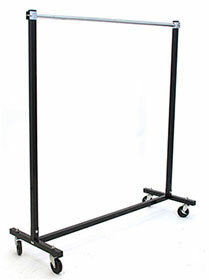 Practical, versatile apparel solutions for retail apparel display that allows customers to browse from every angle. 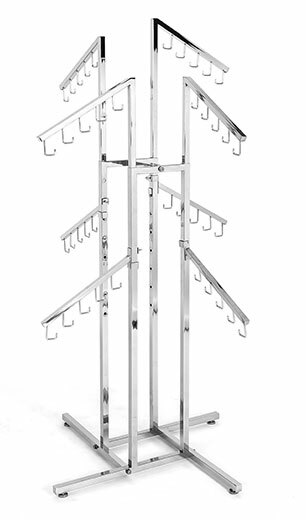 With a high capacity 4-way rack, you can display different apparel styles, mix and match accessories, and create a fuller shopping experience with limited space. 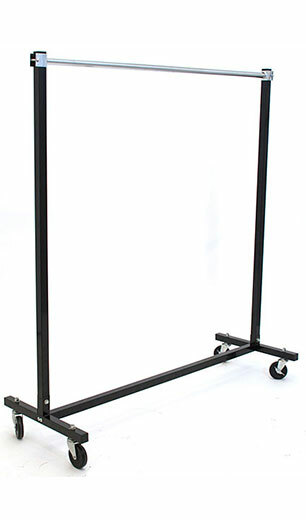 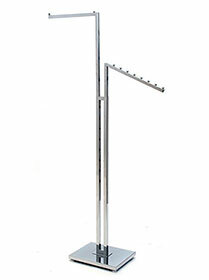 Great for maximizing floor space and creating a multi-purpose display for your customers to view products. 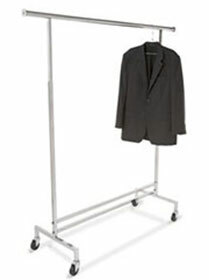 Collapsible, foldable, and easy to move, these garment racks are ideal for extra garment storage and organization. 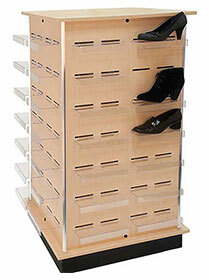 Add an effective way for customers to peruse your apparel selection and maximize inventory on the retail floor. 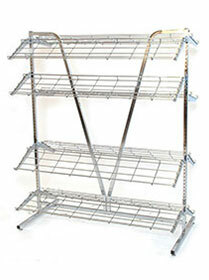 For displaying, organizing, and storing your footwear inventory, shoe racks add versatility and style to your retail space. 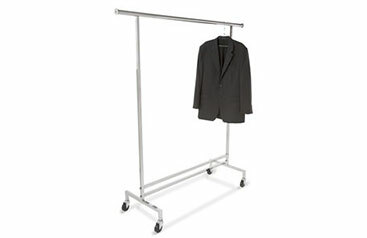 For belts, handbags, neckties and other specialty apparel items, there is a wide range of racks made specifically to display your merchandise, the right way. 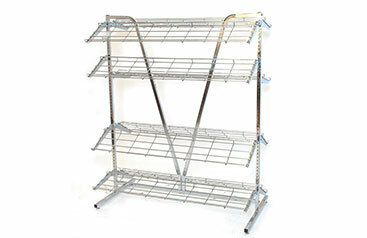 Display your products neatly with versatile, functional, and economic racks designed to inspire impulse buying. 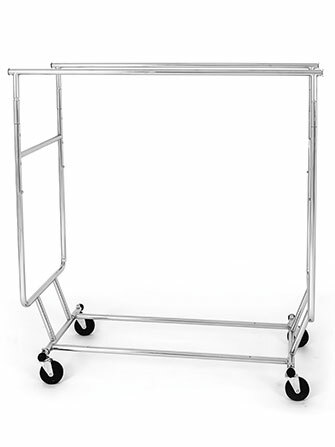 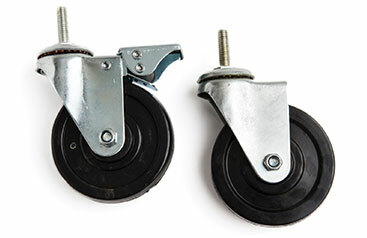 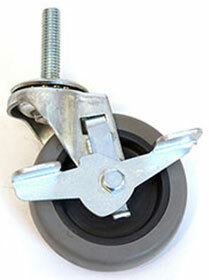 Portability is never an issue with caster wheelsets to help you push, pull, and maneuver apparel racks with ease. 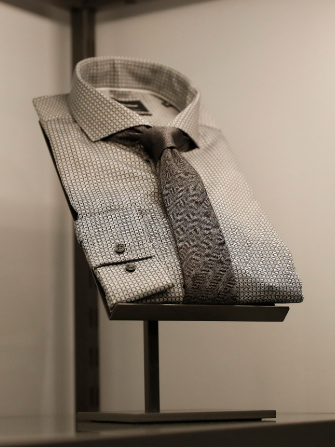 Great style is always in season. 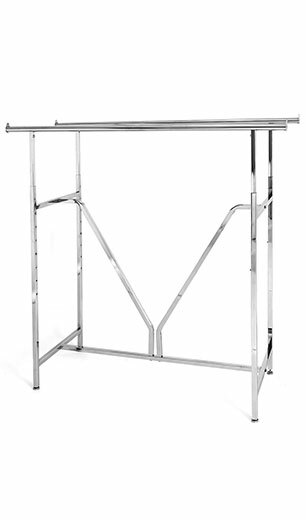 So when it comes to apparel racks – whether you need to hang, store, or move apparel – we’ve got the solution that’s right for you. 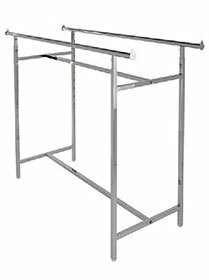 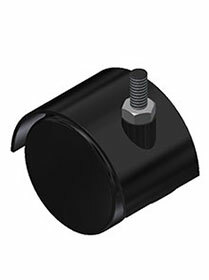 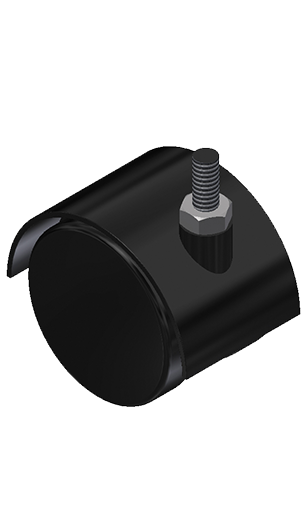 Call us today and we’ll help you with your retail fixture needs. 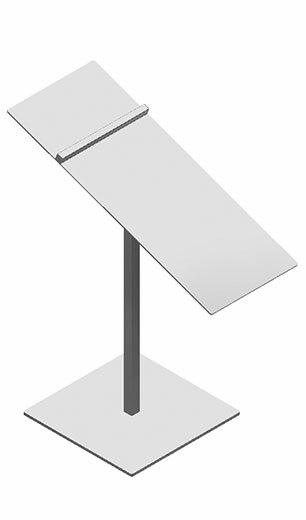 Sign up to learn everything you need to know about retail fixtures and get exclusive access to new products, hot deals, and inspiring solutions that will achieve the best customer experience. 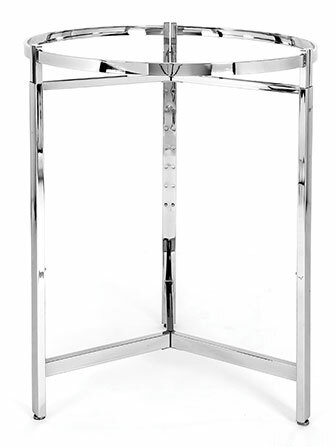 We’d love to chat about your retail space and the fixtures to meet your needs - at the right price and delivered on time. 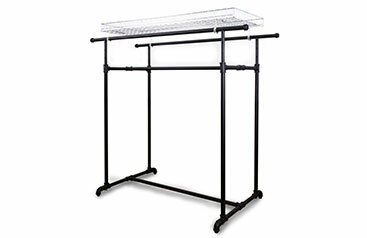 Browse thousands of ready-made retail store fixtures and accessories. 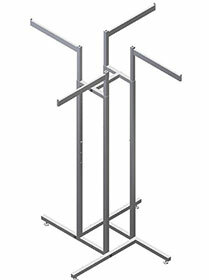 Make your retail environment look and feel exactly the way you want. 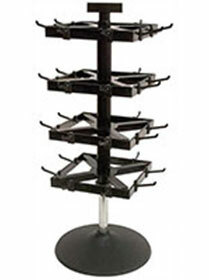 From design to installation, our team of retail fixtures experts can help you achieve results. 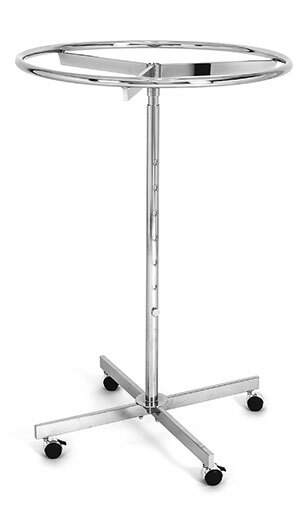 HEY THERE, LOOKS LIKE YOU'RE DIGGING PRETTY DEEP. 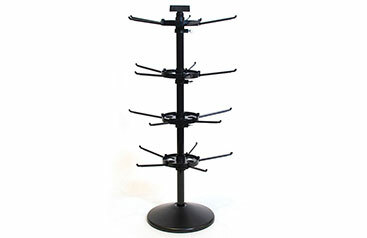 we'll get you what you need.